Providing you the best range of polyacrylamide, anionic polyacrylamide and polyelectrolyte with effective & timely delivery. Industrial wastewater/Municipal wastewater/Potable water Treatment: primary settling, dewatering, air flotation. Mineral process. Optimal solid-liquid separation flocculants for Coal, Copper, Alumina, Gold/Silver, Lead/Zinc, Phosphate, , Potash mining. Drilling fluid additives, Enhanced oil recovery, Waste mud dewatering, Oily water clarification and Scale inhibition for Oil & Gas industry. 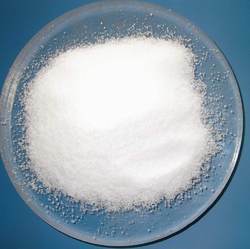 Cationic Polyacrylamide (CPAM) is a linear polymeric compound, because it has a variety of lively groups, affinity, adsorption and many substances forming hydrogen bonds. Mainly flocculation of negatively charged colloidal, turbidity, bleaching, adsorption, glue and other functions, for dyeing, paper, food, construction, metallurgy, mineral processing, coal, oil, and aquatic product processing and fermentation industries of organic colloids with higher levels of wastewater treatment, especially for urban sewage, sewage sludge, paper mill sludge and industrial sludge dewatering process. 1, water soluble, and can also dissolve completely in cold water. 2, add a small amount of anionic Polyacrylamide products, you can receive a lot of flocculation effect. 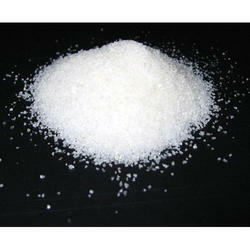 Just add 0.01~10ppm (0.01~10G/m3), to fully play its role. 3, while using the products and inorganic anion Polyacrylamide flocculant (polymerized ferric sulfate, polyaluminum chloride, iron salts, etc), you can display a greater effect. AvansChem Anionic polyacrylamide (APAM) is the most important raw material in high molecular weight polyacrylamide water treatment chemicals. Our APAM with anionic charge density ranging from 0-100% that are class leading in applications such as raw water clarification, fermentation by-product recovery, sugar juice clarification and process water recycling, as a soil conditioner etc..
Avanschem produces a full range of Cationic polyacrylamide (CPAM) that are particularly effective in water treatment, sludge thickening etc applications in the municipal area.